Apply here to become a CB and to receive access. New to our CB Extranet? 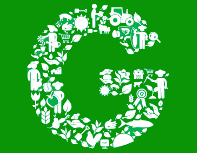 Download for free, without any obligation, the application package to become a GLOBALG.A.P. approved Certification Body (CB). Track your CB application process for Scopes and Schemes. Stay up-to-date with scheme updates. Once approved, add and manage additional users within your Organization. Pick the news you want to see and much, much more. Please read also our FAQs Certification Process.